A new video from ConceptPhones surfaced online this morning, revealing what may be our first glimpse at the iPhone 6. The short and grainy recording shows the metal frame of what is allegedly Apple's next smartphone, though there's no way to prove this isn't just a part of an old iPhone model. A report published yesterday by The Wall Street Journal claimed Apple is prepping not just one but two larger iPhone models to release in 2014, which will offer 4.5 and 5-inch displays to compete with the latest Android smartphones and phablets. We're not surprised to hear that the iPhone 6 will feature a bigger screen, but unfortunately today's leak doesn't offer any sort of size comparison that could confirm these rumors. The body actually has the shape of an older device. While we'd love to believe we're really looking at the iPhone 6 it seems to good to be true. 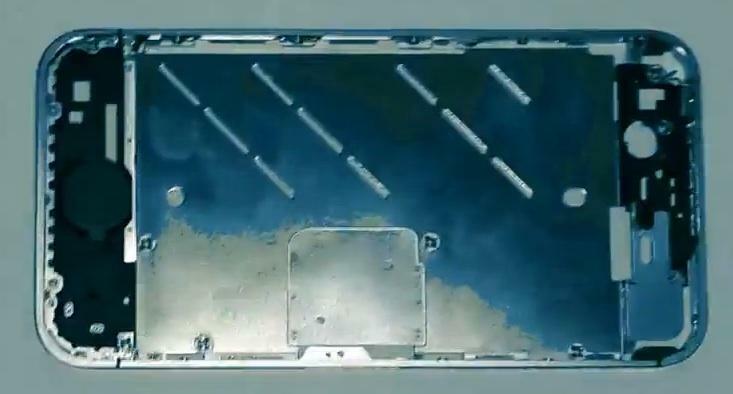 ConceptPhones says the video was shot at "the Apple Factory," though there's no way to confirm that claim either — or what factory the site is talking about. Hopefully we'll learn more in the near future, but until then check out the video above and let us know what you think. Real or phony? We're leaning toward the latter.